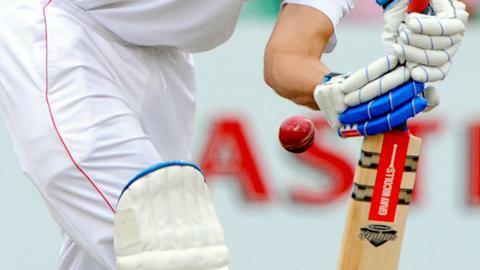 Kent had much the better of a severely rain-hit first day with Leicestershire. After Charlie Shreck got rid of Greg Smith for six in the third over, Niall O'Brien (22) and Ned Eckersley (32) put on 56 for the second wicket. But Leicestershire slumped from 62-1 to 68-4 with Darren Stevens (2-5) and Calum Haggett taking the wickets. Rain intervened at 12:30 GMT and, despite a couple of inspections, play was called off for the day four hours later with the visitors on 74-4.